With a son off at boarding school, and five daughters, Mrs. Bennet should be very pleased with her situation in life. She is wealthy, and her children want for nothing. But she finds herself constantly at odds with her second eldest daughter Elizabeth, who is stubborn and far too witty for Mrs. Bennet's liking. Grey Skies follows the Bennet family in a much better situation than in Pride And Prejudice, and shows how much money can affect one's life. Follows Three Weeks in Kent. Mr Darcy and Elizabeth are set to marry but how can they maintain the pretence of convenience when it's clear their feelings are genuine? Lizzy's happiness is stymied only by the knowledge that Jane has been abandoned by Mr Bingley - but is he being manipulated into leaving Hertfordshire and her sister behind? 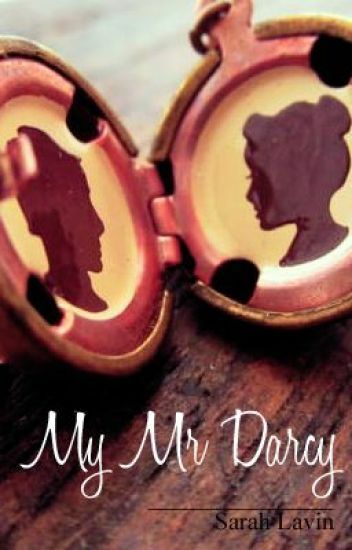 When Jessica Lyons is offered the role of Elizabeth Bennet in Pride & Prejudice, it feels like fate has handed her the chance to find her own Mr. Darcy. All Jess really wants is to meet an old-fashioned guy who's thoughtful, honest and polite-a real gentleman, just like those romantic heroes in Jane Austen's novels. If he happens to be wearing a tailcoat and figure-hugging breeches she'd consider that a bonus. But in a world where everyone is pretending to be someone else, the line between reality and fiction is never as clear as you expect. This story is a *Work in Progress*. The chapters I'll be posting are edited drafts, and I don't have a set posting schedule at present. Once the story is complete I will be able to update on a more regular basis. Elizabeth Bennett despises her literary namesake. She has always been teased for it, but what can one expect when they have classic literature professors for parents? Trying her best to shy away from the shadow Jane Austen puts her in, Elizabeth has finally finished university with a degree in Business Administration with a focus on international relations. Receiving a job as the assistant to CEO of Brighton Enterprises, the leading technological supply company in twenty four countries, twenty two year old Elizabeth in in for a surprise when she meets her new boss, William Darcy. His pride...her prejudice...will cause tempers to flare and sparks to fly. After all, that's the trouble with Darcy.